Nammos Mykonos is a special and luxurious party themed restaurant situated on the Cycladic island of Mykonos. It is a fun place to be; an exotic lifestyle at the heart of Mykonos offering diversity in every aspect and an experience that lasts throughout the day. Mykonos, the most exclusive and amazing place in all of Greece to enjoy the holidays. Nammos, the most exclusive place in Mykonos. Stick with us a little longer and we will inform you on each and every aspect of Nammos for you. Beach life at Nammos Mykonos is amazing with golden glittering sand, a beautiful crowd and a sweet ocean breeze that will make you feel special, allowing you to let go of all the worries in your life. A beach where you can relax, enjoy special meals, flirt with people nearby, while bathing in the sea and sun. 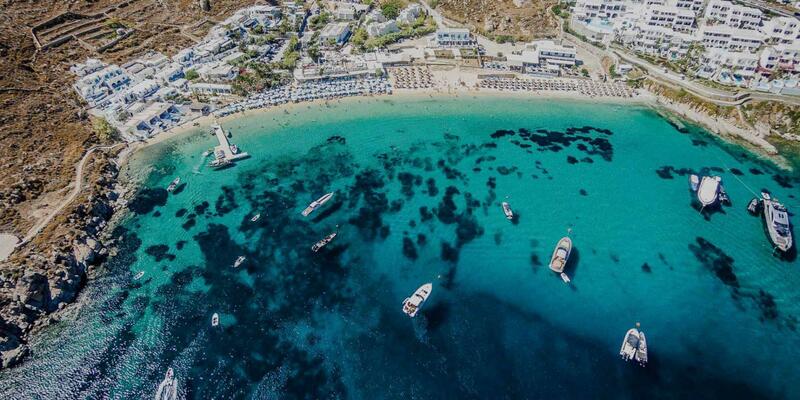 For those who want to take it to a whole new level, a fun yachting experience will especially make your time at Nammos Beach Club Mykonos worthwhile. While you are at Nammos enjoying every second of your holiday, ignite the fun at the club restaurant at Nammos Mykonos. 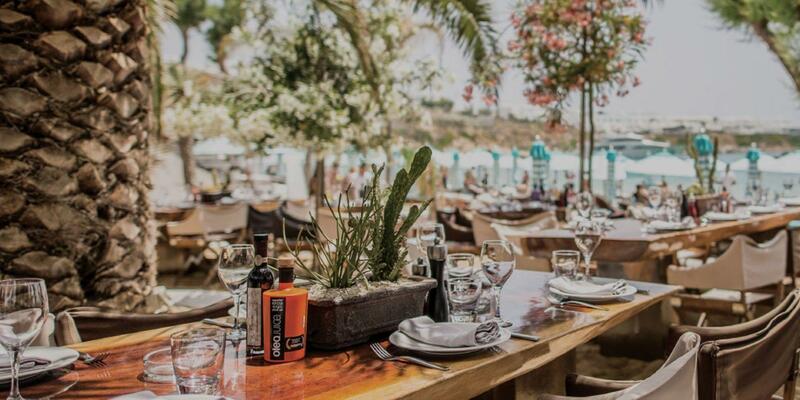 The bar offers delicious, summer cocktails, shots of Greek-based drinks and a party experience to nourish the wilderness in your soul. Nammos Beach club offers you the flexibility to orientate the way you party according to your choice. You can enjoy a great quality time dancing and getting to know others around you better. But if you are with friends or family and need a private spot to open your heart for fun then that can also be arranged. Ready to eat something after sunbathing and enjoying your time at the beach? Well, that is why you should head for Nammos Restaurant Mykonos and indulge yourself with the experience of dining at one of the most luxurious and seasoned places in Europe. With the absolute genius chefs of Nammos and the fresh ingredients used to cook all meals, the dining experience becomes more fantastic. The core value is the uniqueness and creativity of coming up with specials on various occasions which defines the overall experience at Nammos Mykonos. Fish along with other seafood are the most cherished and loved dishes there but according to your own particular taste, you can find other wonderful meat or vegetarian dishes to try and have a wondrous experience of joy and taste. The presentation is amazing, the food itself is superb and the staff is super friendly as well. It is an experience worth taking and while you are at it, feast some of the chef’s specials and blow your mind away. Getting a reservation at Nammos may seem easy at first but on the day of the reservation you will be faced with a long waiting line for each table. Sometimes there is a waiting list of up to 1700 table reservations, while the capacity of the restaurant is approximately 250 tables. Reserve your table at Nammos with us, The Ace VIP, and we will ensure you are seated at a good table in a timely manner. A brand new helipad has been created that leads to Nammos. Now you can directly visit nammos via helicopter for maximum privacy. It’s no wonder what they say about Nammos Mykonos: “It is a fun and extremely vital place to be.” Not only to enjoy the food, partying or beach view with dazzling sunbathing experience but also for an amazing confrontation with celebrities from Hollywood as well as from around the world. 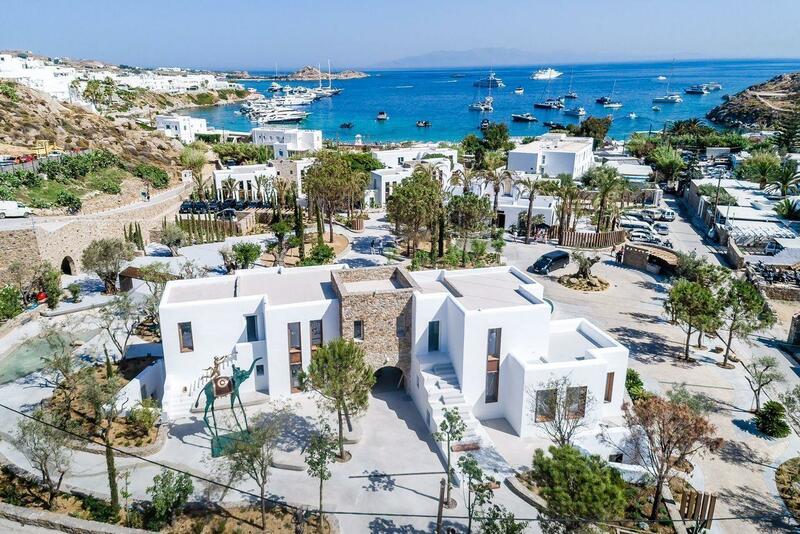 Celebrities are visiting Nammos every year for their summer experience from around the world and they keep coming year after year, not because they want some fun time but due to the fact, they can’t seem to have everything anywhere else but in Nammos Mykonos. Nammos Mykonos had the honor to host the above-mentioned celebrities to come and join the fun life at Nammos and there are more celebrities who keep coming to enjoy the esteemed wonders. Plan your trip to Mykonos and give yourself the chance to meet and spend some quality times with your favorite celebrities. When you enter Mykonos, it is really not that hard to find this place of amazing wonders, a superb shopping experience and the most delicious food but you still would have to work out a few instructions. When you leave the Chora of Mykonos (town) the road will directly lead you to Psarou after a short ten-minute drive you will arrive at Nammos and you will see this calm and soothing place by the sea waiting for you. Although, Nammos’ Location in Mykonos is not that hard to find, many still make a slightly wrong turn before reaching this eccentric holiday destination. The beach of Psarou offers the visitors a cool and calm holiday by the sea with “tiny sand grain” sat a beautiful natural setting, combined in all of its chaos and peace with the observer. When you reach Psarou beach it becomes more of an incredible experience like finding the true meaning of life with a little breeze blowing off the shore. 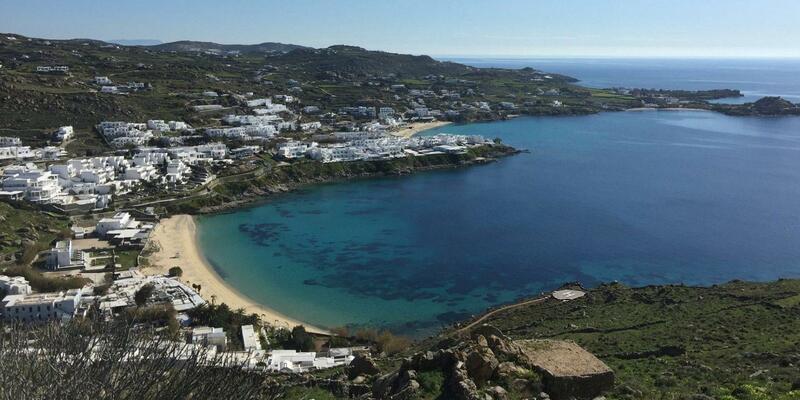 After all the partying and dining maybe, it is time for the best high-end shopping in Mykonos! People from around the world come to Nammos Village to explore the sensational beauty and craftsmanship of the outdoor mall and its landscape, which speak for itself. Here you can find all the exclusive brands with a glimmering style and skill set for fashion. Here you can buy clothes, shoes, bags,apparel, cosmetics, other accessories as well as inspirational art. Take a stroll to Nammos Village in the summer fresh breeze and find yourself in an awesome place where you can relax, chit chat and look around to find something which suits your personality. Many celebrities visit Nammos Village and buy clothes and various design-oriented things as well, while the most obvious choice of every traveler remains the hand-crafted items like clothes, apparels, and hats. There are many things to look towards and buy from this amazing shopping destination at Nammos Mykonos. The Riva Private Yacht Deck is where all crazy ocean lovers can embark and head to the sea with a spirit to explore and have some of the most amazing boat rides of their lives. Here you can anchor your speedboats or small yachts before heading out into the open sea with your friends and family. The deck can also be used to prepare before going out into the open sea by stocking food, getting inventories and also leaving your car at Nammos for the night with a feeling that it is now in safer hands. When you are in Nammos Mykonos you can organize private events and receptions to enjoy the most special event of your life. Here you can organize parties, corporate events, birthday parties, and especially a Wedding in Nammos style. Rest assured you will be provided with top planners and wedding bands to have a sensational wedding or any other event that you require. Any event which you plan to celebrate at Nammos will become an unforgettable memory for you and your guests as well. There also happens to be various concerts organized in Nammos and if you want to be a part of all Nammos Events & Concerts then you will have to sign up for this offer by contacting us and once you have done all that you will be updated at regular intervals about the special happenings, concerts and events. Reserve your private event at Nammos with The Ace VIP, and we will ensure you get the best deals for your special occasion.